Why Choose Corporate Housing Instead of Hotels? When Should You Use Corporate Housing? Be a part of history with Wolf Point West, the first residential property to be built in the fork of the Chicago River. 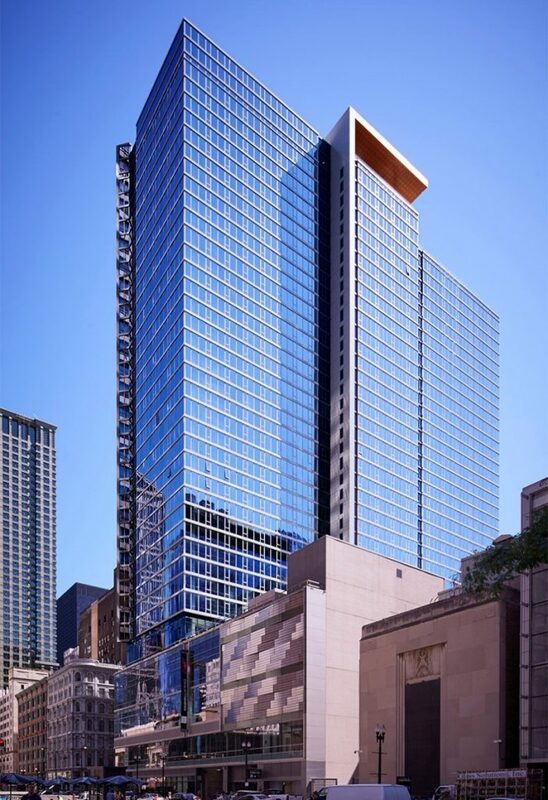 Directly across from Merchandise Mart, live in one of the city’s most popular neighborhoods, River North, with all the benefits of downtown living. 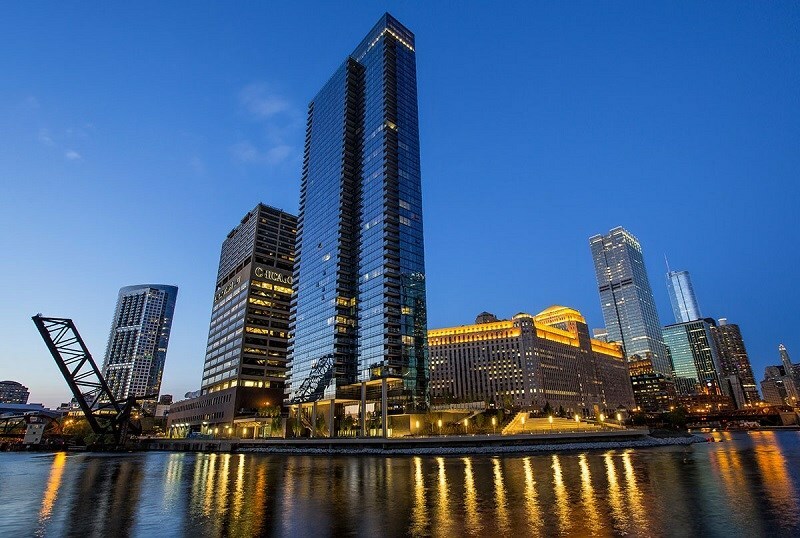 Wolf Point West’s design maximizes views in every direction rising 46 stories high. 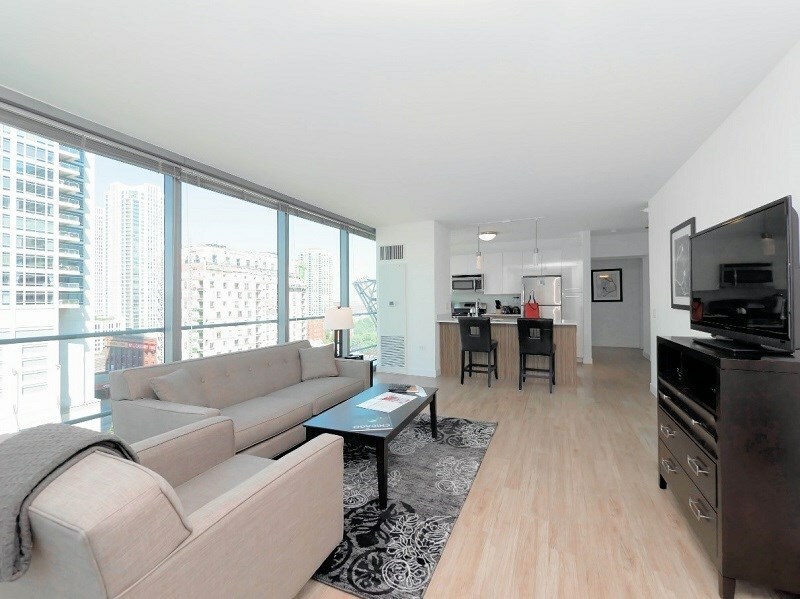 Moment offers studio, convertible, 1, 2, and 3-bedroom apartments, with views of the Chicago skyline, Lake Michigan, and the Streeterville neighborhood. Each apartment offers stylish design and features amenities that make your day-to-day living more convenient. Marquee at Block 37 is a 38-story contemporary building with floor plans for studio, convertible, 1-, 2-, and 3-bedroom apartments. Its chevron façade adds visual beats to the building’s exterior while providing distinctive space and unique views from the interior of select units. Located in the center of the Loop, Marquee at Block 37 offers instant access to everything that makes Chicago a remarkable city. It begins with the shops at Block 37. Here, a variety of urban retailers offer the latest fashions, coffee and other daily delights, casual dining, spaces to meet, an 11-screen dine-in movie theater, and more. There is also unmatched proximity and ease of access to the CTA’s Red and Blue lines.